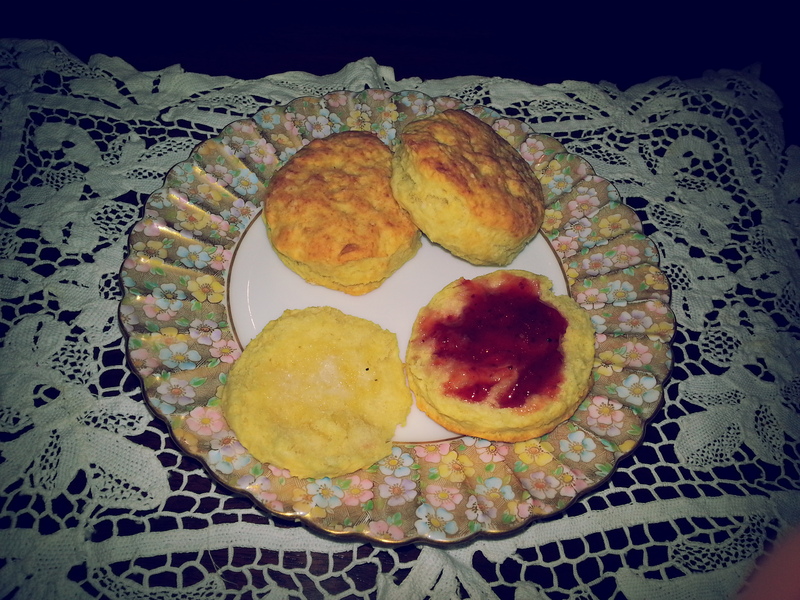 After a positive experience making Sally Lunn Bread, I decided to take on my grandmother’s dinner rolls. Where she learned to make these, no one knows. 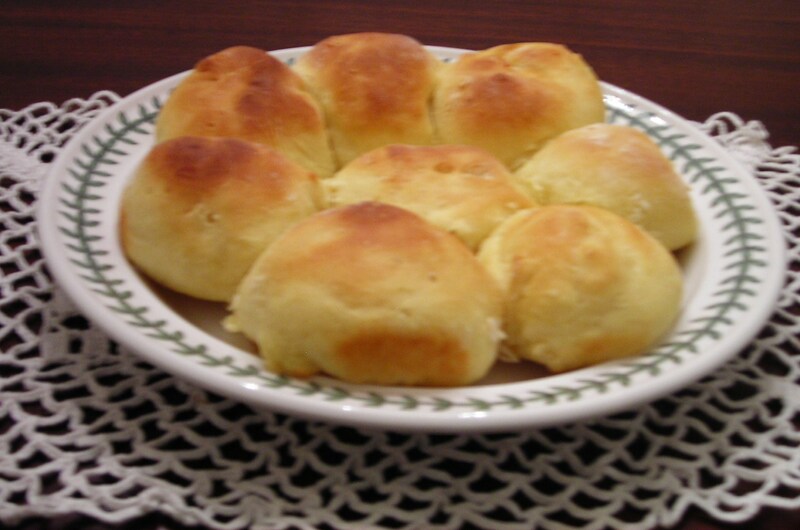 She made a batch of these at least once a week, so dinner at her house always meant freshly baked rolls. Like Sally Lunn Bread, Grandmere’s rolls contain eggs and sugar, which produce a light, sweet dough. You’ll have no crunchy crust to challenge your teeth. These rolls just melt in your mouth. 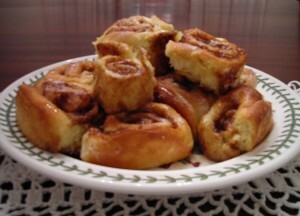 Grandmere used this same recipe for her cinnamon rolls, which she served with afternoon coffee to friends. When I tested the recipe, I used one-third of the dough to make eight dinner rolls. With the other two-thirds, I made a dozen cinnamon rolls. If you make all the dough into dinner rolls, the recipe will yield about 2 dozen. If you make all cinnamon rolls, it will yield about 20 of those. 1) In mixing bowl, dissolve one package of yeast in ¼ cup warm water. 3) Add butter, sugar and salt to scalded milk and stir until butter dissolves. 4) When tepid, add to yeast mixture. 5) Beat eggs and add to mixture. 6) Gradually add three cups of flour to make a soft dough. 7) Cover and let sit for at least two hours in a warm place, until doubled in bulk. 8) Punch down and turn out on lightly floured parchment paper. 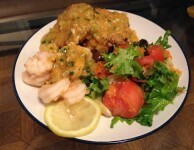 Divide into three equal portions. 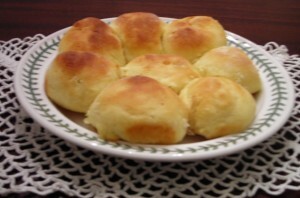 9) For dinner rolls, form each portion into a roll 8 inches long. Cut each roll into 8 pieces. Form each piece into a smooth ball. Place 8 balls into each greased cake pan. This will make 24 rolls, divided into 3 cake pans. 10) Cover and let rise for another two hours until doubled in bulk. 11) Bake at 375 degrees for about 15 minutes until tops are golden brown. 1) Follow above steps 1-7. 8) Punch down and turn out on lightly floured parchment paper. Divide into two equal portions. 9) Roll out each to about a 10-inch square. 10) Melt butter in microwave and spread over dough. 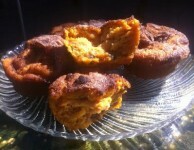 11) Mix brown sugar and cinnamon and spread over dough. 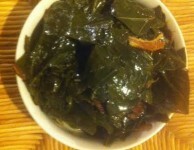 12) Roll up each square like a jellyroll. Cut into 1-in slices and place slices in two greased cake pans. You should have about 10 pieces in each pan. 13) Cover and let rise for at least two hours until doubled in bulk. 14) Bake at 350 degrees for about 20 minutes until nicely brown and bubbly. 15) Cool slightly while mixing confectioner’s sugar and milk to make a thin icing. Pour icing on top while rolls are still warm. The rolls are delicious without the icing, but heavenly with it.